Swap Milan for the south of France, and spend three nights on a route that passes through northern Italy and the star-studded French Riviera (aka the Cote d’Azur). 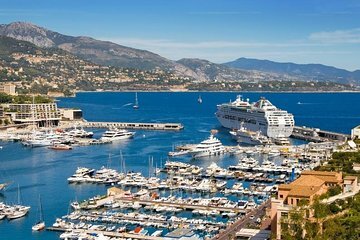 Go from Milan to Monaco, San Remo, St Tropez, St Raphael and Cannes; and bask in the rural delights of Grasse and St Paul de Venice in Provence. Rest each night in a 4-star Nice hotel, and enjoy free time to discover the city at your own pace. Even better: the tour runs with a maximum of 25 people for personal attention from a guide.